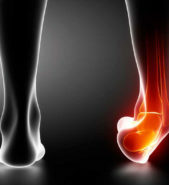 Dr. Krynetskiy of Joint Implant Surgeons offers a variety of foot and ankle services and has several years of experience in both of these areas. From resident training at the Shriners Hospital of Philadelphia during residency to advanced training at Duke University, Dr. K has since continued to acutely treat patients and those suffering from long-term effects of prior trauma and inflammatory disease. Doctor Krynetskiy works with many primary care providers and specialists in the area in order to optimize patient’s health while recovering from skeletal injuries. Surgical intervention is only one of several tools used to help patients get back to living their active lives as quickly as possible. Joint Implant Surgeons of Florida has offices in Fort Myers and Naples, Florida and specializes in comprehensive orthopedics that are safe and effective through the use of surgical and non-surgical care to restore each individual’s independence and quality of life. Discover what previous patients are saying about Dr. Krynetskiy and Joint Implant Surgeons of Florida. Take advantage of these genuine testimonials and stories today.